A hot topic in the tech community, blockchain’s applications may lead to implications for the global digital economic community. We’ve bit just a taste of the apple with Bitcoin, and it’s here to stay. Picture a spreadsheet that is duplicated thousands of times across a network of computers- think Google Drive. Then imagine that this network is designed to regularly update this spreadsheet and you have a basic understanding of the blockchain. Loss is lowered, collaboration is enhanced, and security is rock-steady. A blockchain is a distributed database that is used to maintain a continuously growing list of records, called blocks. Each block contains a timestamp and a link to a previous block. Typically managed by a peer-to-peer network, blockchains, by design, are resistant to modification of data and are inherently secure. The first industry application is in big banking, and is the most prevalent today. Suitable applications also include recording of events, medical records, and other records management activities, identity management, transaction processing, and documenting provenance. By allowing digital information to be distributed but not copied, blockchain technology created the backbone of a new type of internet. Originally devised for the digital currency, Bitcoin, by Satoshi Nakamoto in 2008, the tech community is now finding other potential uses for the technology. 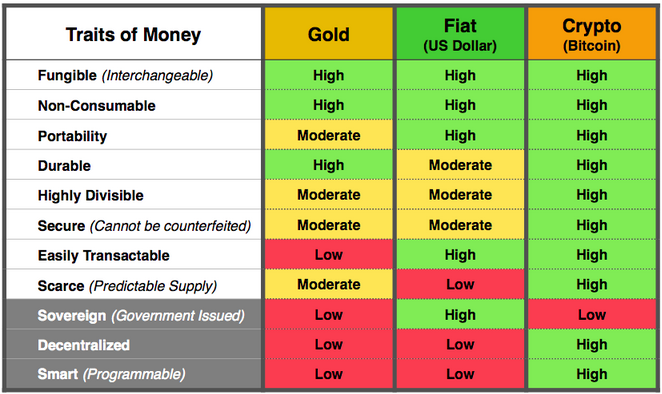 Like paper money and gold before it, bitcoin is a currency that allows parties to exchange value. Unlike it’s predecessors, bitcoin is digital and decentralized. For the first time in history, people can exchange value without a centralized middleman taking a piece of the action, which translates to greater control of funds and lower fees. Limited Supply – There will only ever be 21,000,000 bitcoins created and they are issued in a predictable fashion, you can view the inflation schedule here. Once they are all issued Bitcoin will be truly deflationary. Think the transference of digital currency is a scheme of the distant future? Think again: chains of the fast food restaurant “Burger King” in Russia will start accepting Bitcoin in 2017.